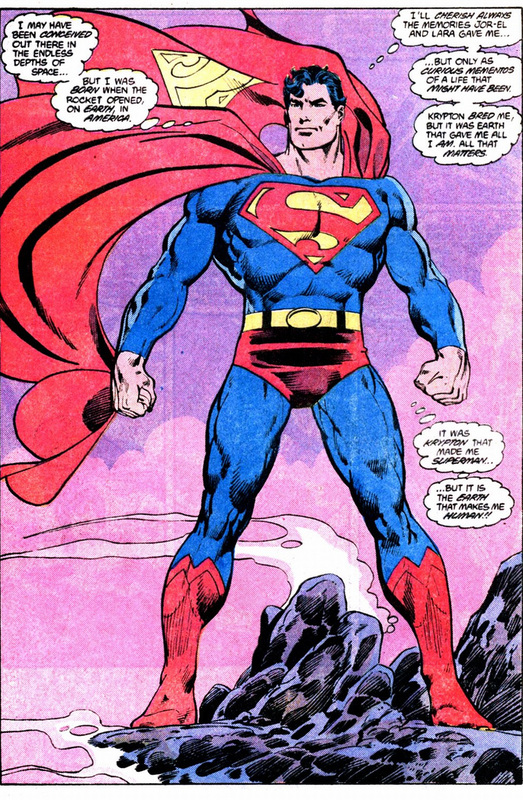 Well reasoned Paul, I also like Byrne's Superman. Personally though, I prefer the angry alien version, I'd like to see what would happen if he flipped and went on a bender. Crushing insignificant humans. It IS escapism after all. And it's probably what I would do with super-powers! 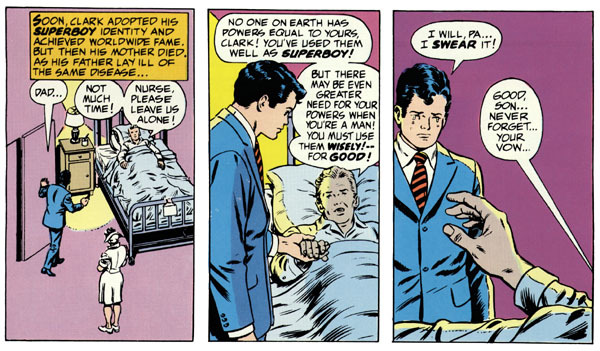 One of the things Byrne did was to keep the Superboy 'flavour' alive by still having Clark's parents around. 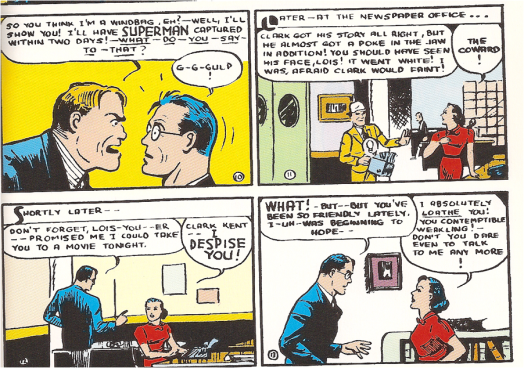 That way, without ever having been Superboy, that aspect (Clark's relationship with Jonathan and Martha) was preserved. 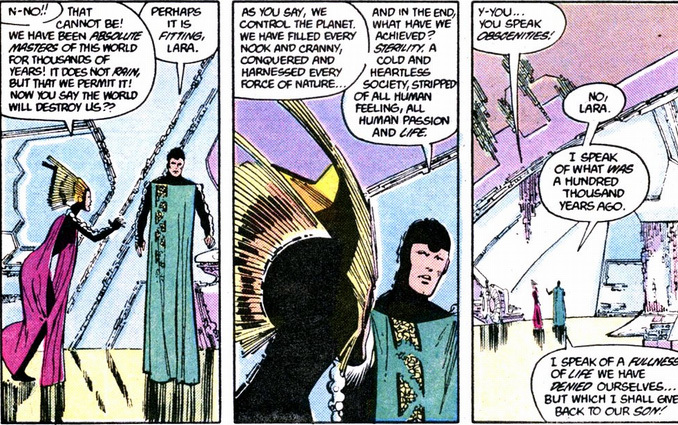 However, having said that, I'm not sure a complete, universe-wide, overhaul was necessary. When Denny O'Neil wrote the 'Kryptonite Nevermore' series, he simply ignored whatever he didn't like about the Superman mythos. 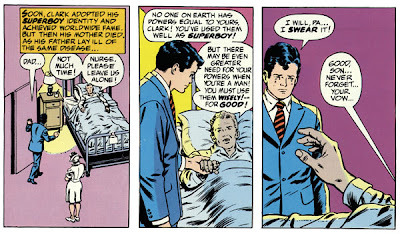 For example, the idea of Supes having a superpowered dog in a cape just didn't fit in with the more realistic representation that DC were aiming for, so with a simple comment in one of the mags (although it may not have been one by Denny) - "Krypto's off exploring in space somewhere", Krypto was never seen again (I think) until "Whatever Happened to the Man of Tomorrow?" @MOCK! 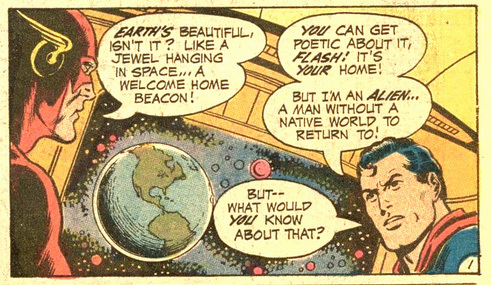 - Does that mean you're not checking out any of the new 52? @Kid - I know what you mean but I think sometimes a Universe wide overhaul is necessary to get people to sit up and take notice. Birthright and Secret Origin are both perfectly good origin reboots (in my opinion at least) but they both just sort of appeared and no one really noticed. YOU ARE WRONG, CORNISH!!! WRONG!!!!! CURSE YOU TANO!!! BY THE BEARD OF MIGHTY BYRNE I SHALL SMITE THEE!!!! I saw some of the covers for your blog, the amalgam age of comics, and that one with Morrisey and superman made me laught a lot. When Byrne did The Man of Steel, I had to have it, but was a bit disappointed; ah, so many great concepts, now out of continuity. 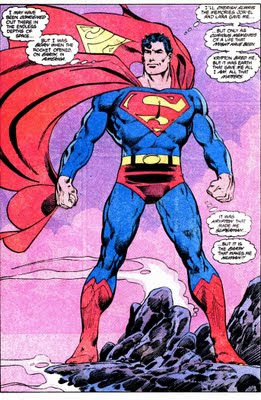 I was fine with the 1970's update although it was slightly jarring seeing Clark as a face millions now watch on TV yet no one makes that connection! 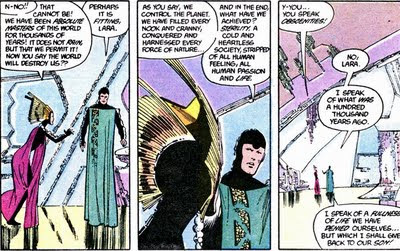 I didn't like Byrne's sterile take on Krypton, if they were really coldly logical scientists they would have carefully studied Jor El's data and came to the same conclusion he did. Imagine that! 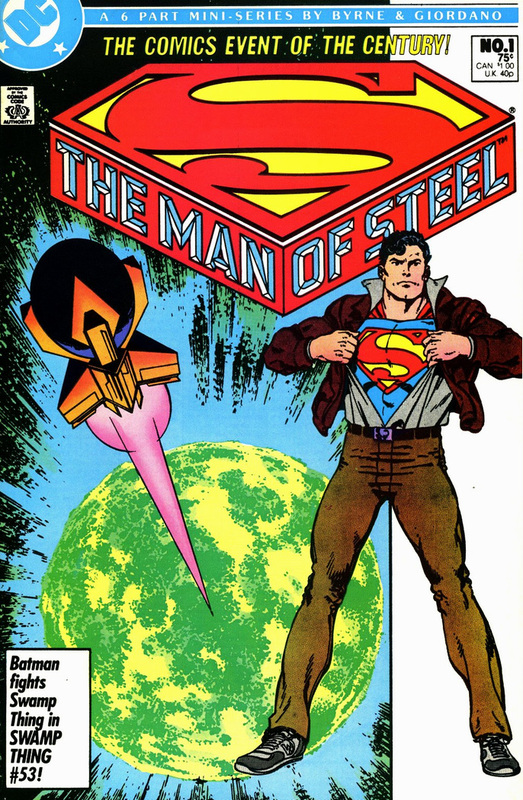 None the less, I bought all the issues, being 25 at the time, I guess I had started getting bored with the old Superman; the one improvement Byrne made is having Ma and Pa Kent alive, I liked that. 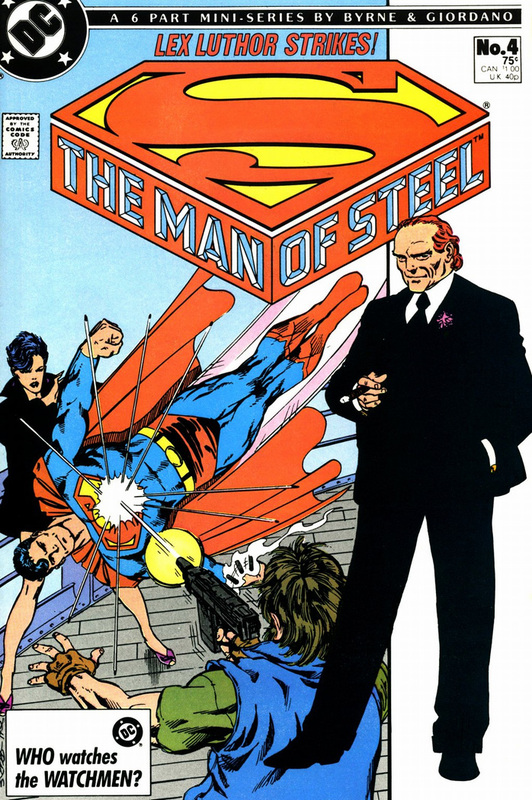 By the way, I also enjoy The Amalgam Age and it helped inspire to to start my own blog, which is similar in presenting never seen before characters, but is different, in that these tend towards Politicians as comic book characters and fictional comic book history. Keep up the good work!